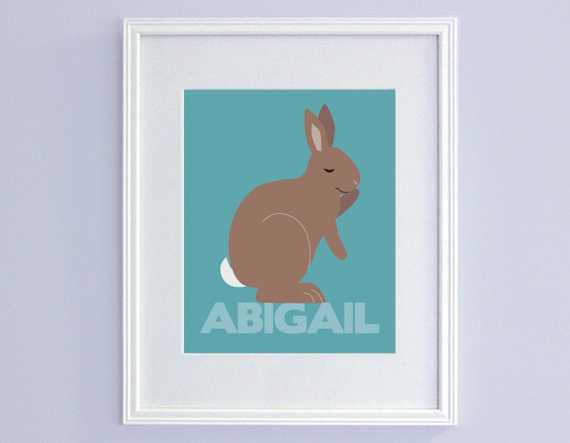 Win this personalized bunny print by entering our giveaway contest! This vibrant design is printed on heavyweight 100% cotton rag, acid-free paper with a matte finish. 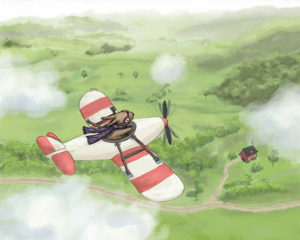 Print measures 8 x 10 inches and is centered on an 8.5 x 11 inch sheet. Giveaway is for print only. Frame and mat not included. Colors may vary a bit from your screen vs. the actual print colors. To enter, like Grizzly Bear Greetings’s Facebook page and My House Rabbit’s Facebook page, and then comment below with the name you’d like on the print and your color choice (brown, white, grey or black). One entry per person. Winner will be randomly selected. Print will be mailed via USPS First Class Mail within two business days of receipt of mailing address. We make no guarantee that the print will arrive before Easter. Contest is open worldwide and ends Sunday, March 10 at 11:59 pm EST. UPDATE: Congratulations to our winner, Becky S. and her bunny, Babs. This entry was posted in Bunny Art, Bunny Lover Gifts, Easter and tagged contests, Easter, giveaway, giveaways, nursery art, personalized print on February 28, 2013 by My House Rabbit. Choose from three fabulous bunny holiday card designs in My House Rabbit’s giveaway. It’s that time of year again! It’s time to think about sending out those holiday greetings. 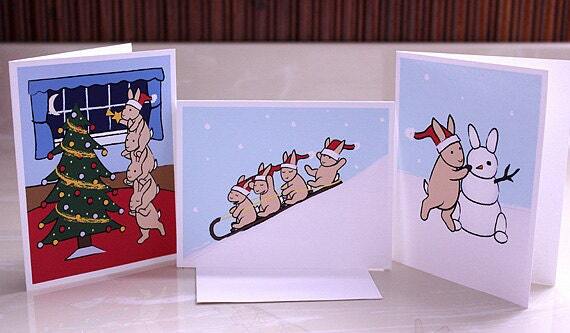 We’re hosting a giveaway featuring a set of six bunny holiday cards by Grizzly Bear Greetings. The designs are printed on 100% recycled card stock with a matte finish. Cards measure 5.5 x 4.25 inches when folded. Comes with six A2 white 100% recycled envelopes. Inside greeting (Happy Holidays, Merry Christmas, Season’s Greetings, etc.) can be customized. 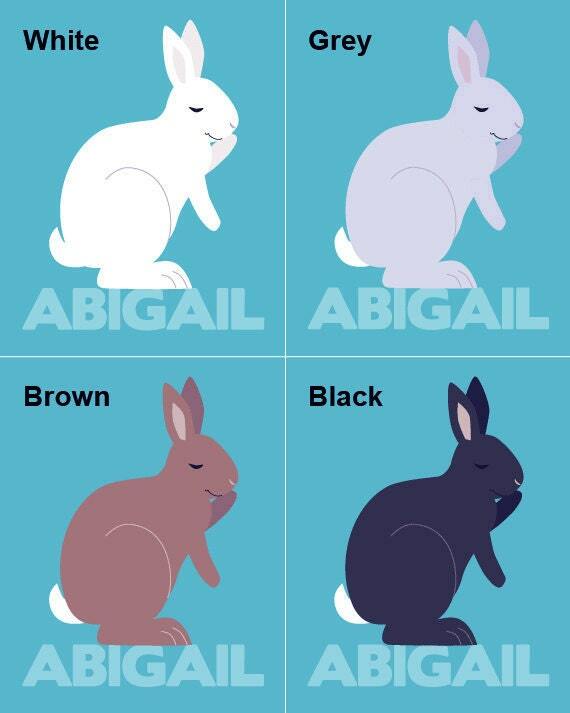 To enter, comment below with your answer to this question: What’s your best piece of advice for new bunny owners? Be sure to include your email address so we can contact you for your card preference and mailing address if you win. Contest is open worldwide and ends Thursday, November 8 at 11:59 pm EST. UPDATE: Congratulations to our winner Amber! This entry was posted in Bunny Art, Bunny Lover Gifts and tagged christmas cards, contests, giveaway, holidays on November 1, 2012 by My House Rabbit. 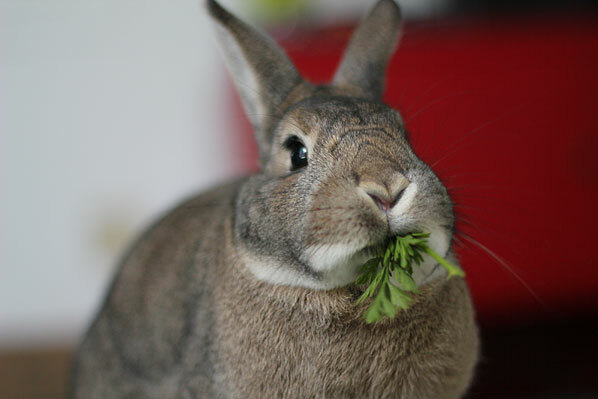 Anastasia, one of several rabbits under the care of Rabbit Rescue, Inc. who is up for adoption. 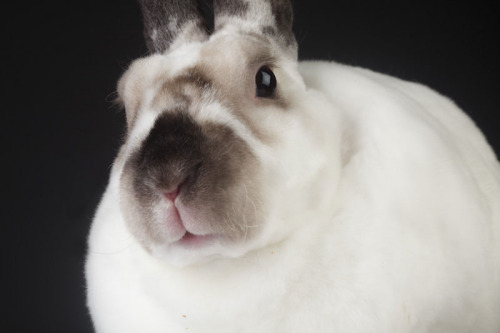 A couple months ago, we posted about a Canadian rabbit rescue in the running for a large grant. 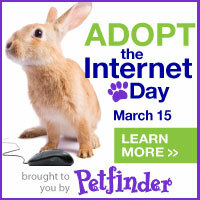 The results are in, and Rabbit Rescue, Inc. of Ontario won the runner up prize of $10,000 with 9,300 votes! The funding comes at a time when the rabbit charity will need the extra support. Year after year, Easter marks a time when people purchase bunnies for their young children without fully understanding the responsibility and commitment of owning a rabbit. The majority of these impulse buys end up in shelters and rescues. Ray Milkey of Los Altos, CA won $1000 when the photo he entered of his two foster bunnies was chosen as the best entry for PetSource.org‘s “Cutest Baby Pet” contest. He has generously opted to give the prize money to The Rabbit Haven, the shelter where the two baby dwarf hotot rabbits, Lassen and Denali, came from. Due to the popularity of the contest, Lassen has already been adopted, and with any luck, Denali will find a forever home soon too.